We are resuming practice at Cal-Skate Grand Terrace on Monday, April 1, 2019. Our March 27 scrimmage has been CANCELLED. Stay tuned for many more games and scrimmages to be added throughout the season. Doors open at 9am. First whistle at 10am. Entrance is free for spectators. Seating is limited, bring your own chair. Tournament begins @ 9am each day and ends @ 5pm. Doors open at 5:15pm. First whistle at 6:00pm. Kids 10 and younger are free. Doors open at 9:30am. First whistle at 10:30am. Presale tickets are $10. Tickets $15 at the door. Kids 10 and younger are free. Cost: $5.00 per skater. Open to spectators free of charge. Please arrive early so you can fill out a waiver. Be geared up and on the track by 8:30 PM. 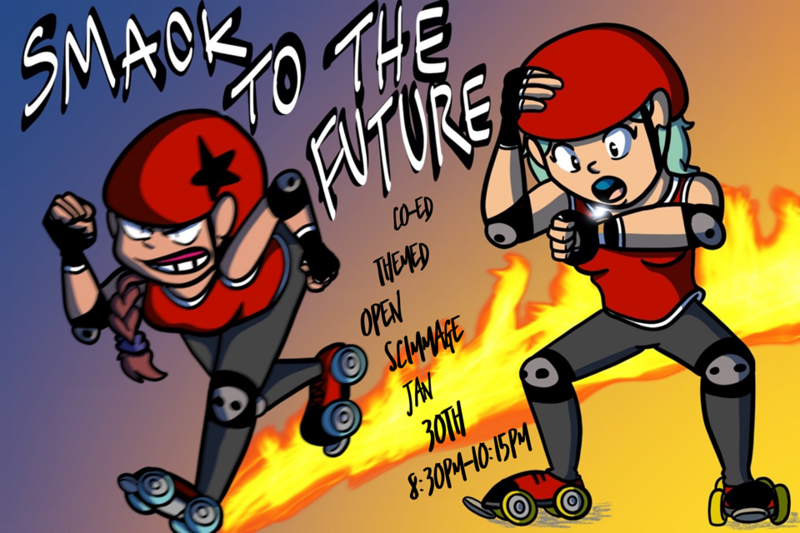 Scrimmage from 8:45 PM - 10:15 PM. COSTUMES are encouraged!! An award for best costume will be given each month. Be creative, lets have fun, and SKATE! All skill levels welcome!! 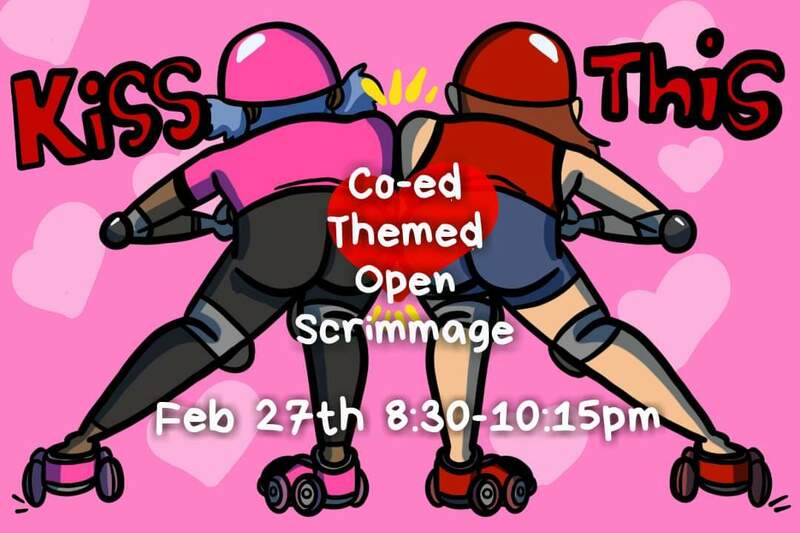 Must have passed WFTDA minimum skills to participate. We will have FRESHMEAT jams.